A client in Austin was in the process of updating and modernizing his condo. 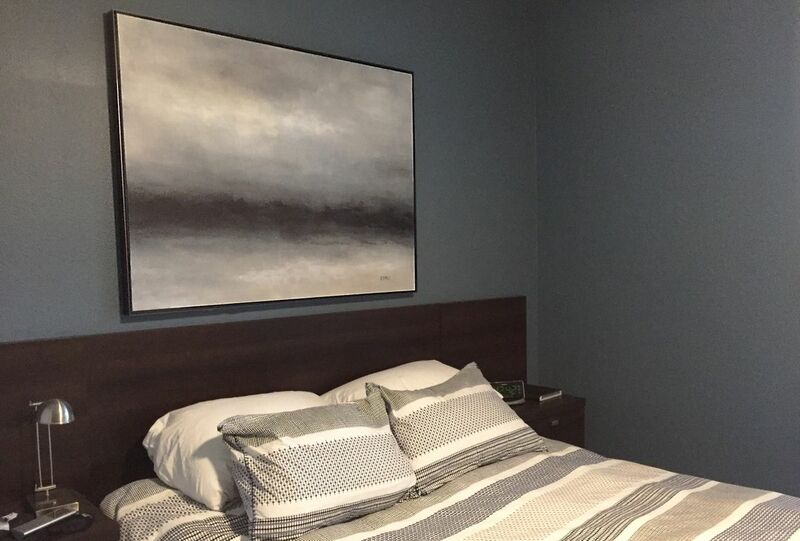 For his bedroom, he needed a large painting to serve as the focal point while keeping the mood calm and serene. The walls were painted a rich, dark gray/blue so I kept the color scheme to a minimum after starting with a base of burnt sienna for subtle warmth. A photograph rarely does justice, but hopefully you agree that 'Evening Song' looks great. An observer commented that the painting was sensual and moody- perfect for this setting!